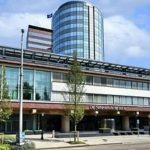 Leonard Franken will participate in a Special Edition of Bitcoin Wednesday on 12 June 2018 at The Central Bank of The Netherlands. He will be joined by his colleagues Kirsten van Driel and Ayse Zoodsma from The Central Bank of The Netherlands. Mr. Franken is a Policy Advisory for The Dutch Authority for Financial Markets (AFM) and a member of the Distributed Systems Group at Delft Technical University. He serves as a technical advisor for the Innovation Hub, a cooperation between the AFM and The Central Bank of The Netherlands that provides information to the fintech sector about the regulatory landscape for innovative financial products and services. Mr. Franken studied at the Amsterdam Institute of Finance and earned engineering degrees from both Delft Technical University and the Technical University of Twente. 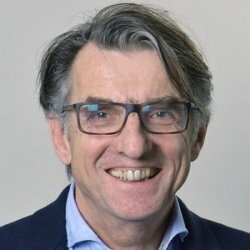 Before joining the AFM, he worked for both KPN and ABN Amro as a program manager, architect and researcher and for the Royal Bank of Scotland as their Head of Technology. Leonard Franken is a Policy Advisor for The Dutch Authority for Financial Markets (AFM) and a member of the Distributed Systems Group at Delft Technical University.